Studying at a university is supposed to be about learning, growing intellectually, having fun and enjoying the student life at its fullest. But, for marginalized groups like LGBTs, more often than not it’s about exclusion and prejudice. Although most prejudice towards LGBT people that once were common and are now diminishing, studying as an LGBT student is still challenging. It is reported from the Amnesty International that in 72 countries worldwide LGBTs face continual prosecution. Moreover, in eight of these countries a death penalty for everyone stating their sexual orientation as an LGBT is still running. But, with the consistent fight for their rights, many improvements are done in terms of acceptance and valuing the society’s diversity, leaving hope for them to finally state their sexual orientation freely. However, there’s a long way until LGBT people will no longer feel this mistreatment, particularly at universities. Unfortunately, universities are one of the places where this category of people faces the hardest challenges concerning their sexual orientation. Every day, the news of LGBT students being bullied, excluded from important social or educational events, stigmatized, and quite often physically attacked make the news headlines. As a result, many of them try to hide their sexual preferences and eventually drop the higher education. Luckily, the UK is one of the very few exceptions from this trend. Although there’s more to do, on their objective of creating a safe environment and equally accessible higher education, the UK universities really stand out from the crowd. They’re establishing different sectors within their campuses that deliver specific services for the LGBTs, including emotional support. Acclaiming to be such a friendly environment for this community, the number of people who are publicly stating their sexual orientation is higher than ever. According to the statistics of the Office for National Statistics, as of 2016, more than a million people accepted to likely be bi-sexual, gay or lesbian. This is a sign that the LGBTs in UK are feeling safer to openly state their sexuality assignment. And since this is true for university campuses too, then it’s a clear indication that British higher education is LGBT-friendly. LGBTs students enrolled in UK higher education are subject to fewer verbal attacks, have a smaller lack of acceptance and are less deprived of their rights than in other countries. In recent years, universities have shown a serious commitment to approaching strategic policies that aim to deal with all kinds of LGTB students’ concerns. However, the scale at which this category of students in the UK is discriminated is at a worrying level. Giving them equal access to all student services, unions, events and so on. Currently, there are 170 recognized higher education providers in UK. To evaluate their LGBT friendliness we checked them carefully taking into consideration the extent to which they offer the above supportive services. We noticed that while the majority of them ran LGBT organizations and various events in support of LGBT students, some deliver a higher commitment toward supporting and integrating LGBT students. Furthermore, there were universities which, besides ensuring a safe and welcoming environment for their LGBT students, have established counselling bodies within their campus to help them initiate a successful and independent career pathway afterwards. Based on these metrics we came up with a list of UK universities that are particularly LGBT friendly. Luckily for those who want to study in the UK, there are a lot of universities that provide a friendly environment despite students’ beliefs and sexual orientations. Furthermore, the pace of growth of LGBT-friendly universities in the UK has been steady in recent years. With that being said, students have a lot of options so the selection of a convenient study medium won’t be done at the cost of a study program that perfectly matches their choice. 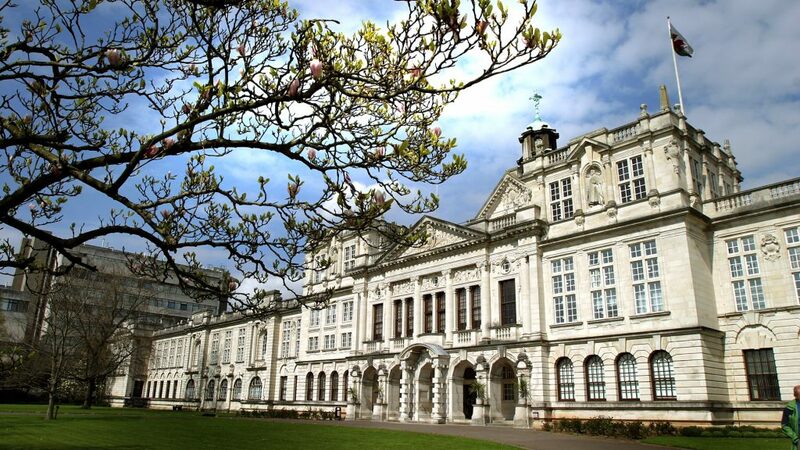 The University of Cardiff has been traditionally assessed as one of the top LGBT-friendly universities in the UK and globally. In this university, LGBT students can always reach the student center to express concerns related to their sexual orientation. In addition, to this, there are plenty specific students’ gatherings that tend to enhance LGBT students’ participation in different social events and promote the society’s diversity. One of the most active LGBT group within this university is the CU pride (LGBT +Society) which holds many different social events throughout the year. Students can join regardless their sexual/romantic orientation. In addition, the university has a specific LGBT+ Association and a network of staff and postgraduate students named Enfys. The Enfys member takes part in many events for LGBT History Month, Cardiff Pride and IDAHO (International Day Against Homophobia and Transphobia). The University of Birmingham ensures its LGBT students a welcoming environment during their studies. Aligned with this commitment universities have also included sexual and gender studies in its study curriculum. Throughout the year different types of events aiming to make LGBTs students an active part of the student body are organized. The LGBT History Month takes place every year in the Swansea University, to display its serious attempt on offering a good study environment for all categories of students. A number of events are held during this month like the Information stalls, the LGBT Storytelling Evenings, Film Screening of “Battle of the Sexes”, Combating Gender and Sexuality Stereotyping Seminar, Queer Welsh History Exhibition. All these events are organized by the university’s LGBT +Staff Network that is a private group of staff members at the university who identify themselves as LGBT+. The University of Bournemouth is committed to promote and embrace the principles of equality in education. Their student union is an active part in their efforts toward making their university a warm and welcoming environment for everyone. Throughout the academic year, numerous events and campaigns take place at the University of Bournemouth under the purpose of creating opportunities for LGBT students to socialize, share experiences and strive for higher awareness. The University of Liverpool is highly committed to the principles of equality in regards to students distinctive opinions and beliefs, including gender reassignment. Students at the University of Liverpool who define themselves as being non-heterosexuals can join the Liverpool LGBT+ group. This is a membership that aims to promote and protects its LGBT students’ interests. As part of their program, the group organizes different social events. Furthermore, as in every LGBT-friendly universities, the University of Liverpool has its LGBT+ Staff Network, a group of staff members who identify themselves as LGBT+. Another friendly university for LGBT students is the University of Glasgow. The Scottish university has its LGBT+ Network where all its students identified as bisexual, lesbian, gay or transgender can participate and join a number of activities. This association was created back in 2007 with a clear mission of providing a welcoming environment, free of discrimination and violence, for its LGBT students. In this group, LGBT members can join social events on a regular basis, help each other by providing a space for free discussion related to LGBT issues. Also, they can inform the university management in a case when any of their rights are violated in respect with LGBT+ Equality & Diversity. The list of universities who provide support to LGBT students is way longer with respect to current legislation in the UK. Discrimination and other forms of prosecutions toward the LGBT students are not limited only within the campus. Fair talk, the challenge of being an LGBT student in the UK, as in other countries, is not all about facing inappropriate and offensive labeling in university’s literature or being excluded from particular social events. There are many tough situations, these students go through. Very often, LGBT students are verbally or physically attacked in public spaces like in the streets or public transport. The UK has done many improvements in the past 20 years in relation to the LGBT issues and living as a student there is less troublesome than in other countries. Yet, there is further to go. Facing these situations daily can cause real harm to one’s mental health. Eventually, the student may not see any option rather than dropping out university. Fortunately, the British society is one of the most tolerant communities in the world. Moreover, the community of LGBT people, a proportion of which are students, is large and consequently stronger. Apart from LGBT groups within university campuses, there are many other organizations in local communities where students can join. The events, the likes of discussions and excursions, take place in these organizations. The aim of these events is to help LGBT students relieve the constant pressure that their daily life burdens them and feel protected, through fun activities. These organizations are highly activated during February when usually the LGBT History History is conducted in the UK. During a month a number of different activities that gather numerous LGBT+ people from all around the world take place. Additionally, there are activities held at specific times of the year like summer camps. No matter how much confident and consistent you are in your beliefs, dealing with all challenges of studying in the UK as an LGBT student all alone is an impossible mission. You must seek support from professionals and organizations who went through the same challenges and have established effective programs of action to tackle these issues. Fortunately, there are a lot of helpful resources for LGBT students who are easily found and accessible. One among many others is the Educate & Celebrate, a successful comprehensive program which is committed to robust the application and the maintenance of inclusion and equality principles in all levels of education in the UK guaranteed by the Equality Act 2010. Many LGBT students, academic staff and other parties involved in education, be it directly or indirectly, have benefited from this excellent program and today they’re fully integrated living a normal life.